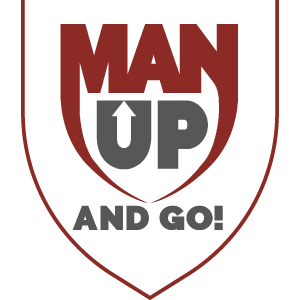 The following blog post was written by Man Up and Go Director of Operations, Luke Sawyer. They say it is important to “walk a mile in someone else’s shoes” and at times that is possible, and other times it is not. In Los Tres Brazos in Santo Domingo, the capital of the Dominican Republic, it is often very hard. The reality of how many are living in this community is hard to imagine and even harder to step into. Let’s walk you through Angela’s reality (name changed for privacy, but real events), whose home I sat in this past week for a few hours. Angela was born in what is known as “el basuero” (the trash dump) to a mother of 15 years old and a father she has never seen. Angela and her family live in a house made of rotting wood and rusting sheet metal that sits on top of mounds of rotting, rancid trash that has come from other areas of the city. Angela’s house sways because the trash, which has been brought in by her neighbors who for a small fee collect trash with their horses and carts, has been dumped on top of a marshland, and each time Angela walks outside the potential of her falling waist deep in the trash is realistic. I am a big guy and walking down to Angela’s house in the “basuero” was a challenge. Each step I took had to be cautiously taken, searching for seemingly solid trash to step on like you’re walking on rocks across a river and all the while avoiding the horses with open sores, pigs walking through the muck, and the watchful eye of drug dealers, gangsters, and just the typical drunk man who might want to start a fight. As I approach Angela’s house I notice that she has nothing on from the waist down, the slab of sheet metal for a door is wide open, there is an older brother in the house, and a few drunk men still drinking and making a raucous outside. The smell is overwhelming and as I look up from my cautious step I see behind the house a makeshift tent where a local drug dealer is cooking crack right out in the open. I came intentionally to see Angela, because, at three years old, she is one of the children in the child sponsorship program Man Up runs through Iglesia Bautista Getsemani with Pastor Kendar Robles and his wife Hozanna. As I walk in the house, Kendar helps Angela find some pants, and begins to search for an adult, who is nowhere to be found. I wish I could say that Angela’s story is unique, but unfortunately it is not. Angela is one of the many children I have visited with over the course of the past week, each story surprisingly similar, each interaction equally as heart wrenching, and each time the realization of absolute poverty, lack of parental involvement, and rampant sexual abuse is almost too much to handle. It is hard to imagine that there is hope in an environment such as this, but the reality is that there is a small amount, and that small amount of hope comes from Kendar and Hozanna and the work they have been doing now for twenty years. They did not come from this reality, but have chosen to work in it, and in doing that, and seeing the need, they have responded. 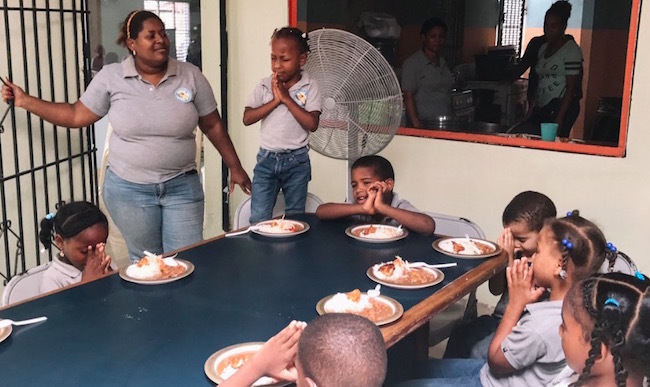 They have responded with feeding programs and education, where at the least these children know they will eat and that they will be loved and cared for by the staff of the school. They have responded with vocational training and a value on character development that is so lacking in communities like these. Ultimately, their deep understanding of the Gospel has moved them to love, to engage, and to walk the mile that so many of us are not willing to do. Through Man Up and Go, Angela and others like her can be sponsored, to provide the finances need to secure her food, love, and care, and hopefully see a better future for her and her children. The reality is that each additional year of education for girls in these contexts can result in a 12% increase in future wages and this is what we are striving towards. Please consider sponsoring, and helping tangibly provide for a child in a way that can impact their entire future. Below is the interview I had with Pastor Kendar last January.